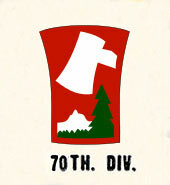 The three infantry regiments of the 70th Infantry Division landed at Marseille, France, 10-15 December 1944, and were formed into Task Force Herren before the arrival of the remainder of the Division on 18 January 1945. Task Force Herren took over defensive positions along the west bank of the Rhine, 28 December 1944, in the vicinity of Bischweiler, south of Haguenau Forest. Elements took part in the fight to stop the German winter offensive, and struck at the enemy at Phillipsbourg and at Wingen. In mid-January 1945, the Task Force moved to an area directly south of Saarbrucken, where it carried out reconnaissance and combat patrols, and improved defensive positions. Upon the arrival of the remainder of the Division, Task Force Herren was dissolved. Patrolling and combat raids continued as preparations were made for an offensive drive in mid-February. On 17 February 1945, the attack jumped off just below the Saar River. The 70th drove onto high ground overlooking Saarbrucken, smashed into Forbach, took Stiring-Wendel, and continued across the Saar to take Saarbrucken, 20 March 1945. Pushing through Siegfried Line defenses along the north bank of the Saar, the Division took Volklingen and other Saarland cities and towns. 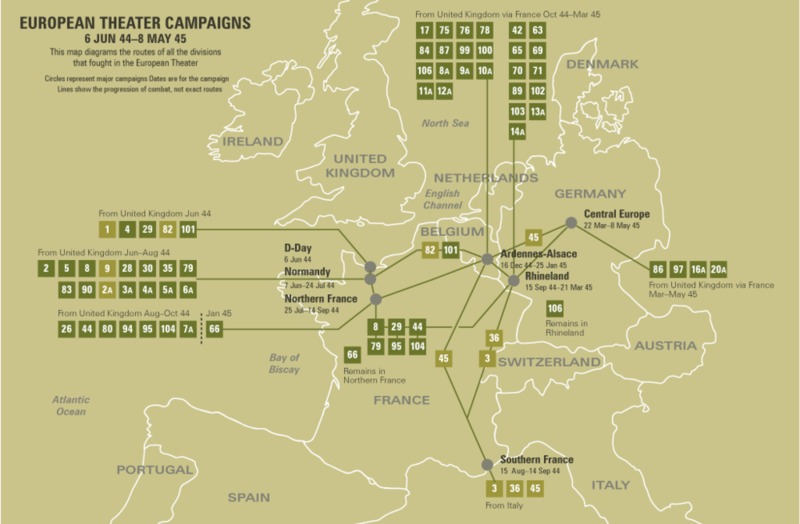 In April it took part in the reduction of the Saar Basin, and after VE-day was engaged in occupational duties, with CP's at Otterberg, Bad Kreuznach, Frankfurt, and Oranienstein.